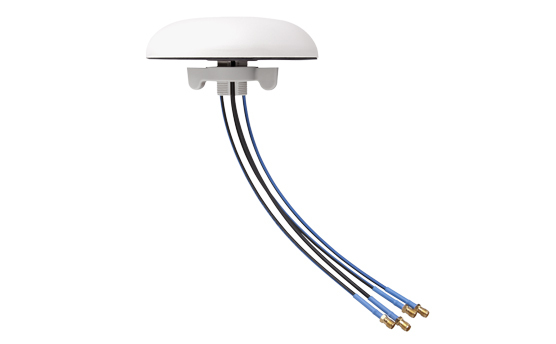 The OMNI-S antenna is especially designed for applications in harsh environment on street cabinets, distribution boxes, or industrial vehicles. It supports various wireless bands such as cellular 2G, 3G, 4G LTE (US / EUR), WiFi MIMO and GPS/Glonass for industrial wireless and M2M communication, for WiFi offload, carrier-grade WiFi as well as for small cells and WiFi hotspots. According to the requirements of the application, the antenna can be equiped with up to four ports. This allows a wide variety of configurations, from a single port 2.4 / 5 GHz antenna conceivable up to 4×4 WiFi MIMO multi-port antenna.